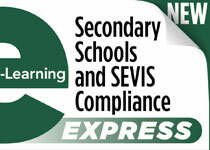 Learn basic regulatory information and a general overview of SEVIS compliance at the secondary school level. Understand the basic federal regulations that govern privacy, discrimination, and mandatory reporting. Learn about the Department of State’s J-Designation in order to prepare your organization’s DS-3036 application package. 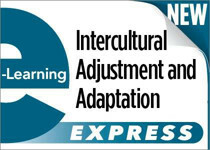 Examine the fundamental components of intercultural communication, and the influential effects of culture on behavior. Review helpful tools, resources, and exercises that international educators have successfully utilized in programming initiatives. 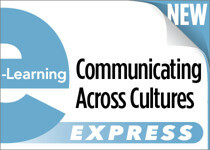 Explore the norms of communication in various intercultural contexts. Explore marginality, relational patterns, and issues of diversity as they relate to the broad field of international education. 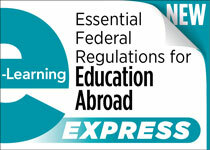 The complete four-part NAFSA e-Learning Express Course series, which provides professionals within the field the opportunity to strengthen their skills and experience in order to become more successful in their work. Self-Driven : Interactive learning experience on your schedule. Focused Content: Targeted answers address specific needs and topics. 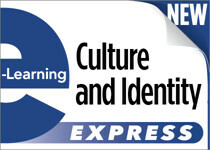 Expert Resources: Additional resources and self-assessment tools reinforce gained knowledge, and rewards you with a certificate of completion.